Censorship in Communist China is widely acknowledged as being the worst in the world. But this week has been one of up and downs for online freedom in the world’s largest authoritarian state. First up is a story about a major vaccine scandal. A recent media investigation has unearthed evidence that a company called Changchun Changsheng Biotechnology, the biggest supplier of vaccines in China has been supplying fake vaccines to three-month-old babies in China in order to boost its profit margins. The story has, quite understandably, prompted anger and disgust among the Chinese people, and initially, the censors seemed happy to let the story run. But as social media users began to turn their anger from the company to the corrupt system that allowed the practice to take place for many years, the quickly clamped down. They soon found social media posts and links to a story entitled ‘King of Vaccines’ were being blocked. But they have found a novel way to get the story out there. Blockchain. On July 22nd, one user took to the Ethereum blockchain network and sent 0.001 Ether (roughly $0.47) to itself. In the transactions metadata, they pasted the text of that story. This now sits in the Ethereum public ledger where anyone can read it. This is not the first time this practice has occurred. In April, an open letter from a student who had faced intimidation and threats from her own college to drop her claims of sexual assault and harassment was also posted in this way. It still remains publicly available to this day which, in China, is almost unheard of for any letter criticizing authorities. Because Ethereum is a decentralized network, it is almost impossible to interfere with and Chinese censors are unable to apply pressure to any network owner to remove the post either. So, it seems that an unintended consequence of the advent of blockchain could be creating a novel new way to get around Chinese Communist Party censorship. The BBC’s English language website has been blocked by Communist Party censors since 2014, but their Chinese language service and apps have remained, for the most part, available. But that is no longer the case after the BBC migrated all of its online platforms to the more secure HTTPS protocol. This is standard industry practice these days on the grounds that the HTTPS protocol encrypts connections and so makes a website more secure. But it also prevents the blocking of specific pages on that site and it seems that as a result of this, Chinese censors have decided they have to block the entire site instead. “We continue to work with local service providers so that specific BBC content can be made directly available to our audience in China,” he added. It is encouraging to see the BBC openly advocating the use of a VPN to get around Communist Party censorship in China. They are quite right that, despite Chinese efforts to ban VPNs, it remains the best way to access a free and open internet in China, including content on the BBC website. So, while the BBC may be trying to block the use of VPNs on their iPlayer streaming service, they will, no doubt, be happy to endorse our updated article on the Best VPNs in China 2018. It’s a tough time for Facebook at the moment as the fallout from their various privacy scandals continues to hit user confidence and, more recently, their profit margins too. So, it looked like there was a welcome bit of good news for the company when, earlier this week, they announced the setting up of a subsidiary in China. If you are a Facebook user, don’t worry. 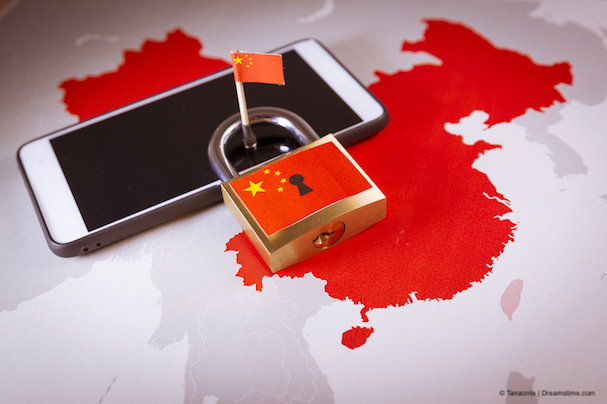 Despite their privacy woes, the company has not yet sunk to the level of complying with China’s intrusive online surveillance regime. Instead, they looked to be setting up an ‘innovation hub’ in Hangzhou, which just happens to be the main base of Chinese internet behemoth Alibaba. The hub was intended to ‘support Chinese developers, innovators, and start-ups’ according to their press release and it had $30 million of registered capital. It would not have made Facebook’s main services available in China and was no doubt just intended to help Facebook profit from Chinese innovation. But, within a week, the plan already looks to be dead. Despite the company filing initially being approved on China’s National Enterprise Credit Information Publicity System, it has now disappeared, which suggests that official approval for the hub has been withdrawn. This will come as no surprise to China experts, who are well aware that the Communist state resists any efforts from overseas business to profit from domestic knowledge and expertise. So, it looks like Facebook’s China strategy is back to square one again. For now, at least.